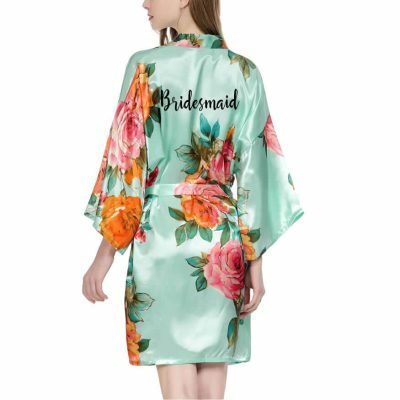 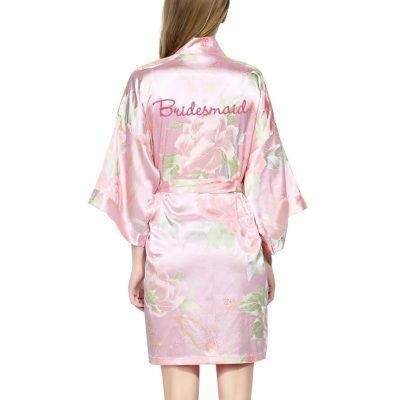 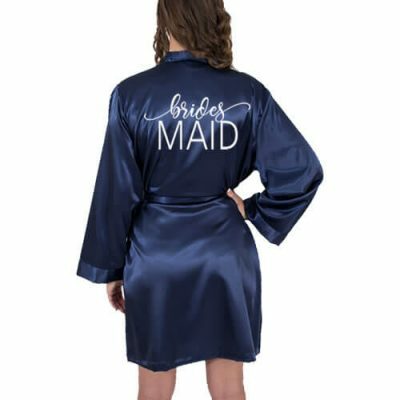 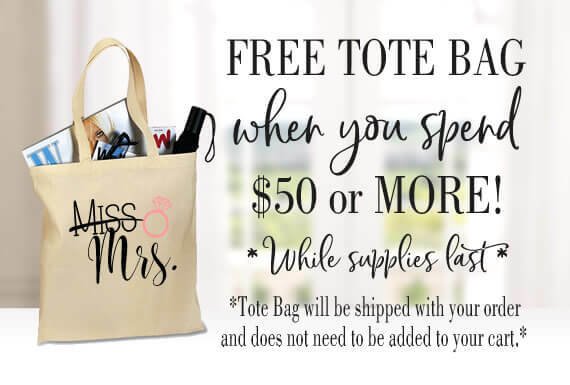 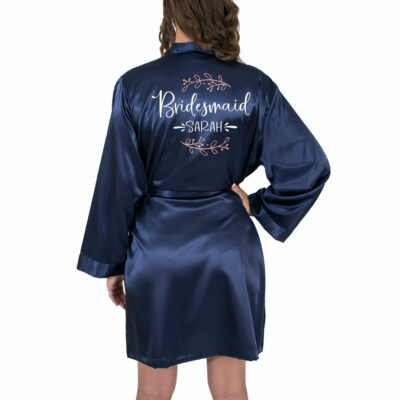 *All Bridesmaid robes can be changed to "Maid of Honor", "Matron of Honor", "Mother of the Bride" and many more wording choices. 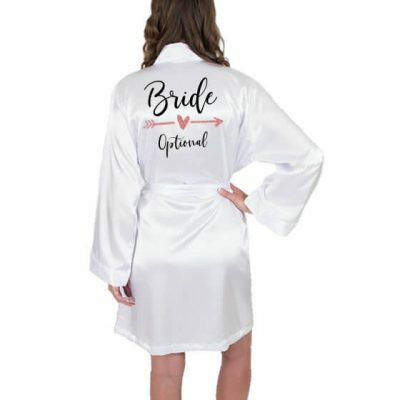 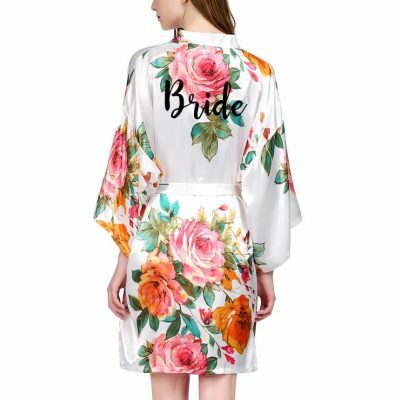 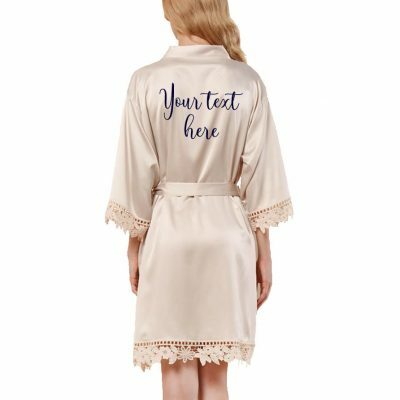 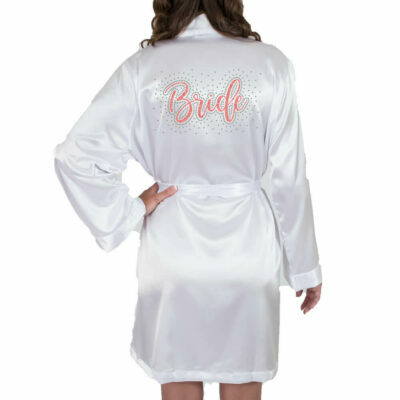 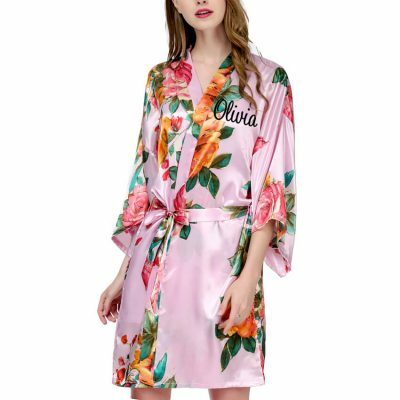 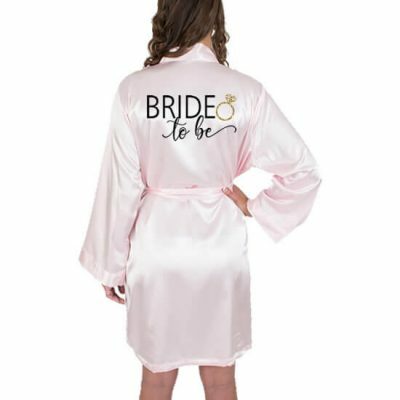 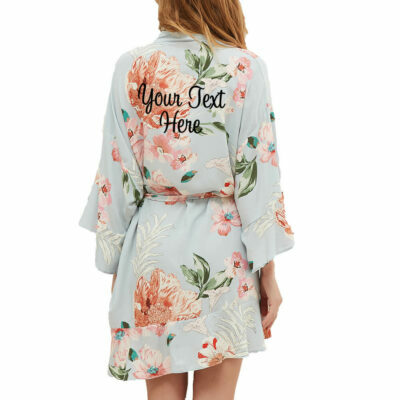 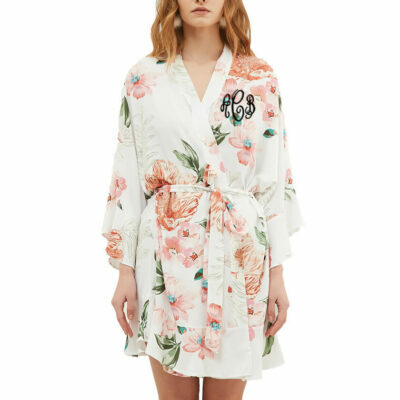 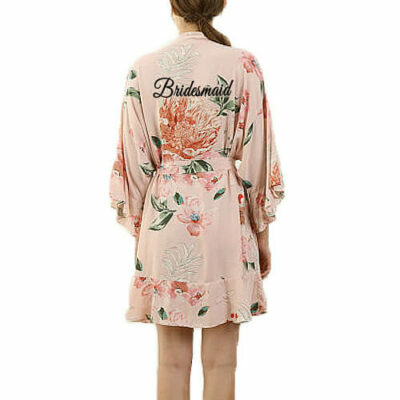 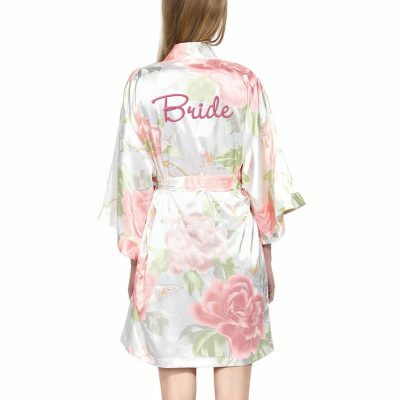 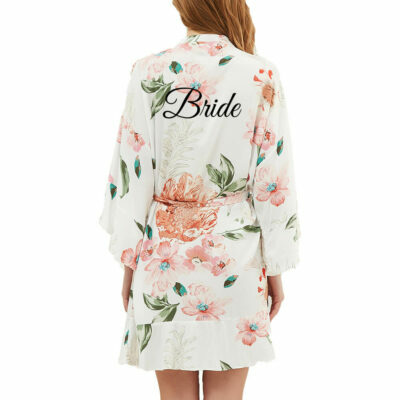 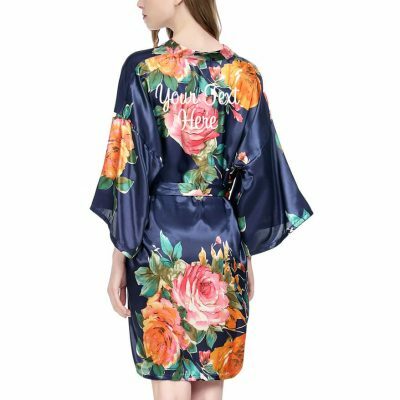 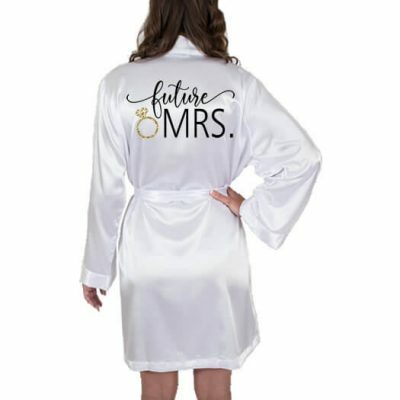 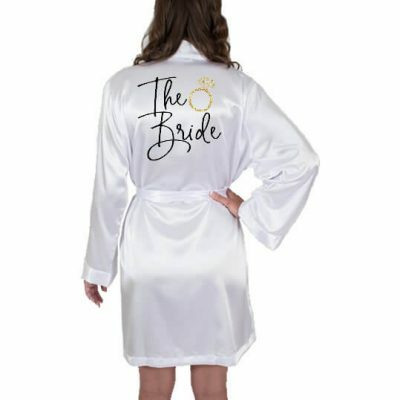 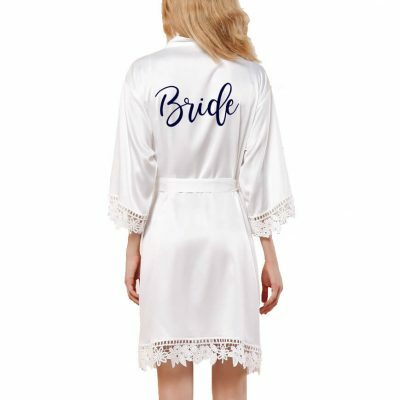 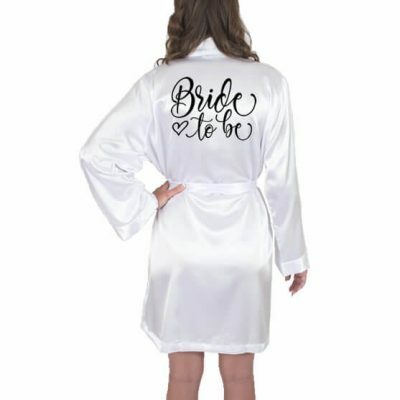 A personalized satin robe is the perfect gift for every bride! 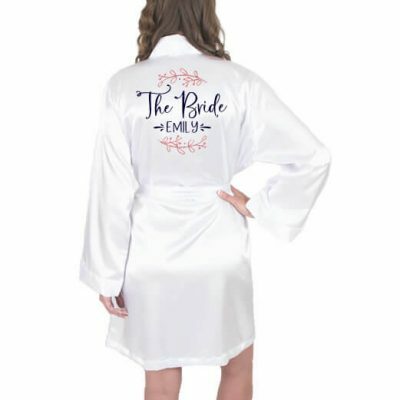 She can wear the robe while she gets ready for her wedding, on her honeymoon, and even after the wedding is over. 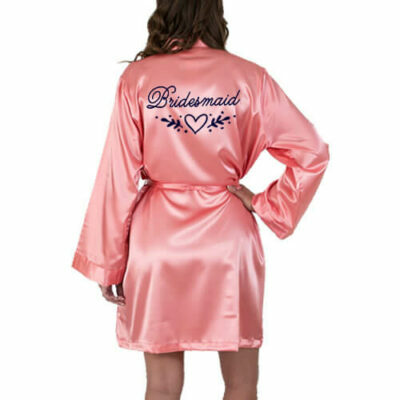 If you want to get some great pre-wedding pictures, we also offer beautiful satin bridesmaid robes. 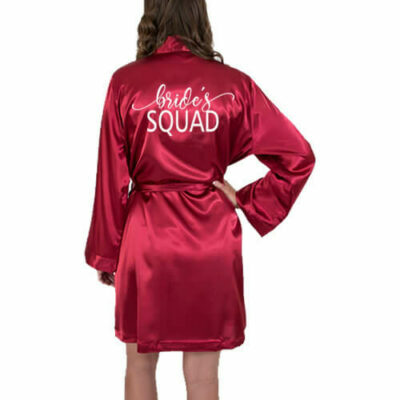 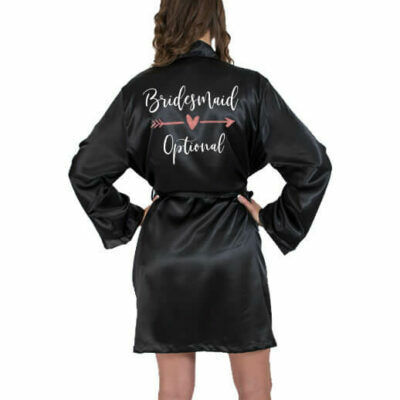 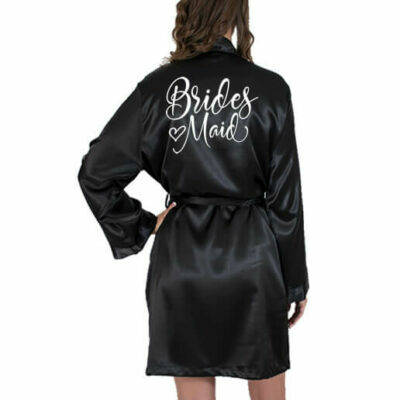 Our solid satin robes are available in over 15 colors and come in 4 sizes, Small/Medium, Large/XL, 1X/2X, and 3X/4X, so everyone in the bridal party with have the perfect fitting robe. 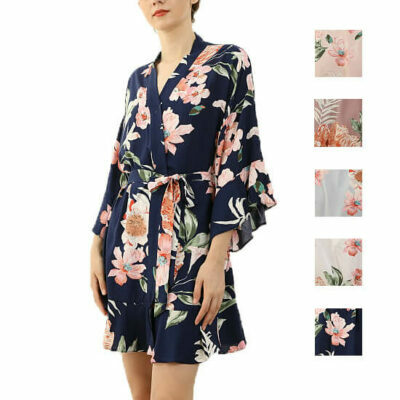 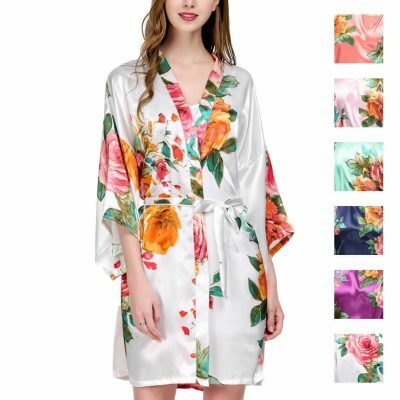 We also have floral satin robes available in 2 styles and over 20 colors. 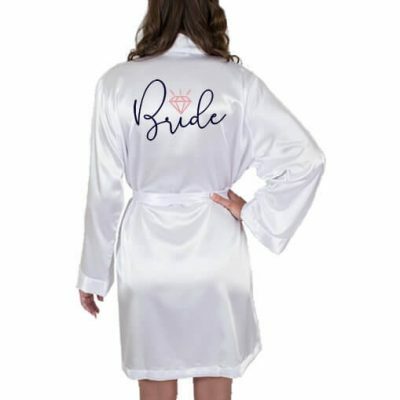 We offer embroidery, rhinestone, glitter, metallic and solid designs available in many different fonts and colors. 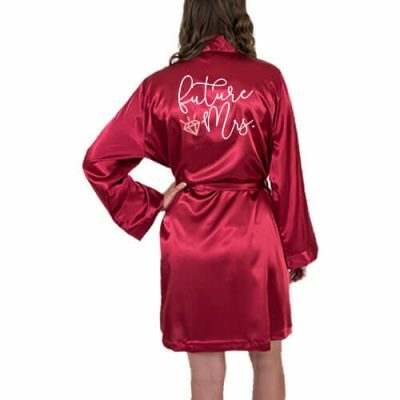 Our satin robes are also available in our gift boxes and robe sets. 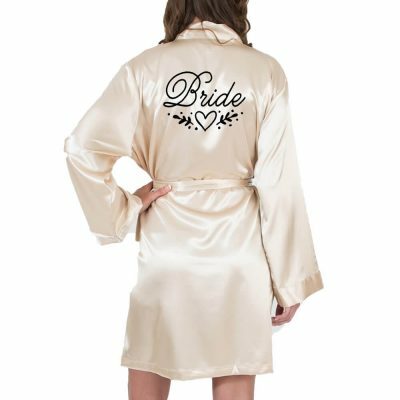 Most of our satin robes are available for next day shipping.